ICC World Cup 2019 is scheduled to begin from May 30 and it will end on July 14. The upcoming men's cricket world cup will be held in England and Wales. 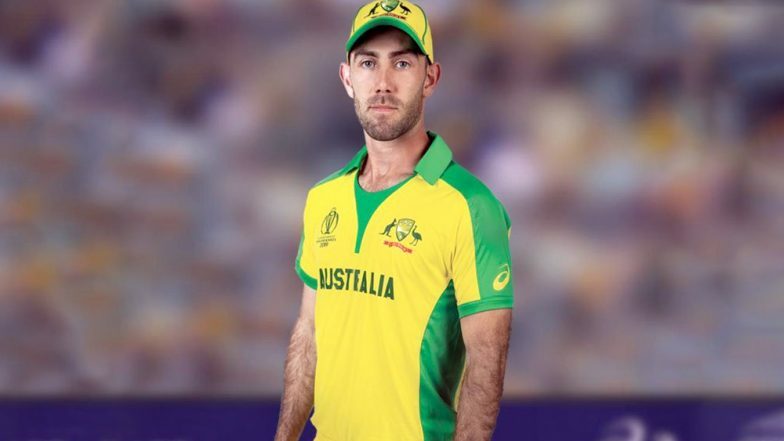 Aussie batsman Glen Maxwell becomes a model for the Australian Cricket team jersey unveiled by apparel manufacturer ASICS. ICC Cricket World Cup 2019 Schedule in PDF: Ticket Prices, Dates, Venue Details & Timetable Available for Download Online. Australia will play their first match in World Cup 2019 against Afghanistan on June 1 in Bristol. Aussie will face India in the upcoming cricket world cup on June 9 at the Oval. Australia has won the World Cup tournament 5 times. They are currently also the defending champion as they won the last World Cup 2015 which was held in Australia and New Zealand. Michael Clarke led the Aussie side in cricket World Cup 2015, where they defeated New Zealand in the final. With the new jersey unveiled, the Kangaroo team also looks confident to head towards the World Cup 2019 under the leadership of Aaron Finch. Australia recently won two ODI series away from their home, one against India by 3-2 and the latest over Pakistan by giving them the whitewash 5-0. Don't forget - the tournament is LIVE on NINE! Like other teams, Australia too will play league matches with other 9 teams. As the upcoming ICC World Cup 2019 has a single group of ten teams, with each team playing the other nine teams, and the top four teams progressing to a knockout stage of semi-finals and a final.